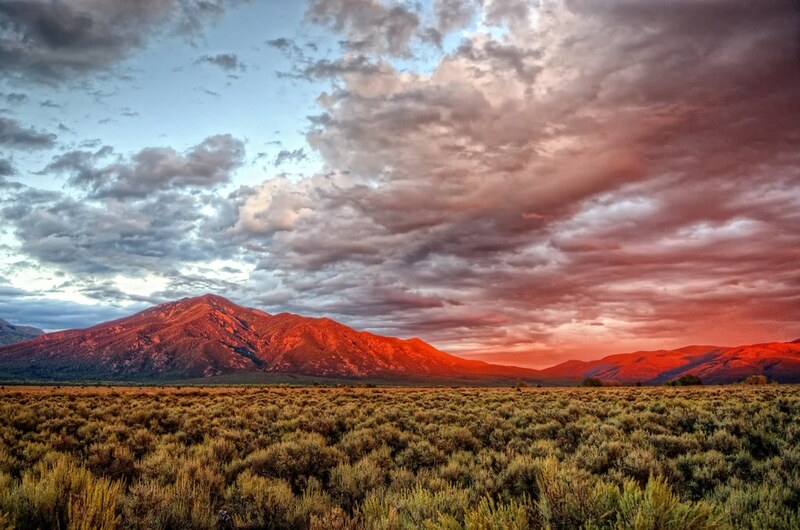 The allure of the desert has long been hailed by America’s great storytellers. From romantic notions of the Wild West, to still-present monuments of ancient geology, only the open sky is big enough to contain the awe-inspiring story that is the American desert. While it is best experienced through a long drive over its expanse, here are five ideal desert getaways that are necessary stops for any sunshine fiend. 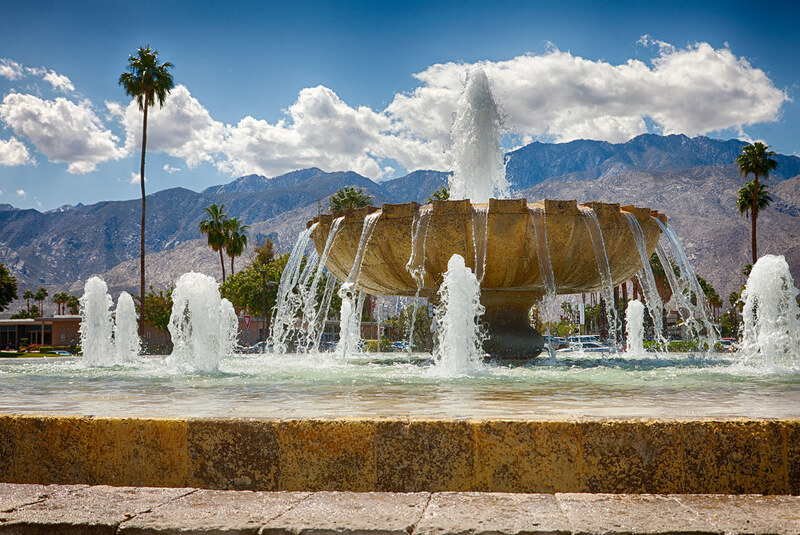 A distinctly coastal twist on the desert town, Palm Springs may be 100 miles from the Pacific Ocean but it shares much with the urban hubs to its west. In the mid-20th Century, the stars flocked to Palm Springs to build mansions in a near-but-far escape from Hollywood. In the time since, the Modernist architecture and luxurious flair remains, and draws travelers interested in a desert escape with all the amenities of a city center. 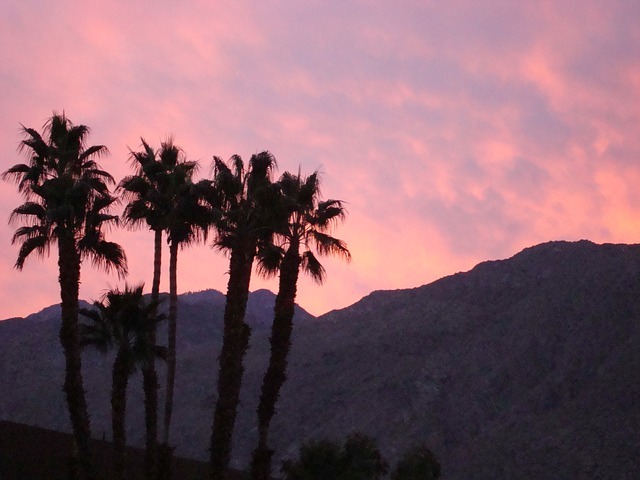 The San Jacinto Mountains boast great hiking, climbing and camping, while the Palm Springs Aerial Tramway offers a more relaxed 2.5-mile scenic ride through spectacular vistas at 8,516 feet. Glitz and glamour, vice and excess may be the running themes in Las Vegas, but climb to a hotel floor high enough to see the surrounding landscape and you’ll be reminded that you are in the middle of a desert, the world still remains around you, and you can cut your losses and escape before detrimental damage is done to your personal finances. 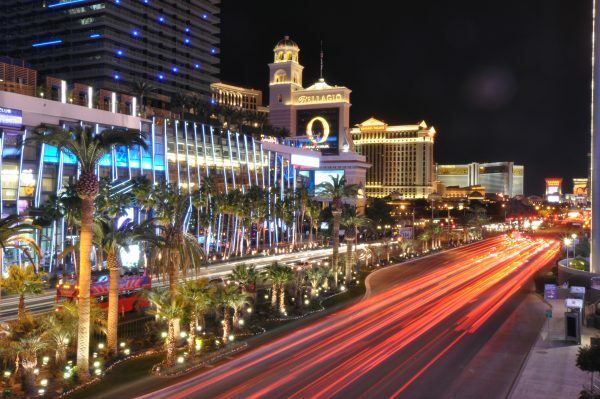 While the casinos and entertainment of Las Vegas are enough to keep most tourists city-bound, travelers interested in the more natural notions of a town can find plenty to do outside of the party center. The Red Rock Canyon offers a 13-mile cycling path, and Bootleg Canyon lets you rest your legs with a series of 50 mph zip lines. If you stop to see the Hoover Dam, don’t hesitate to spend a day boating and swimming on Lake Mead, the artificial lake established by the dam’s stoppage of the Colorado River in the 1930s. Dropping water levels suggest that the lake may not be there in ten years, so visit while you can. 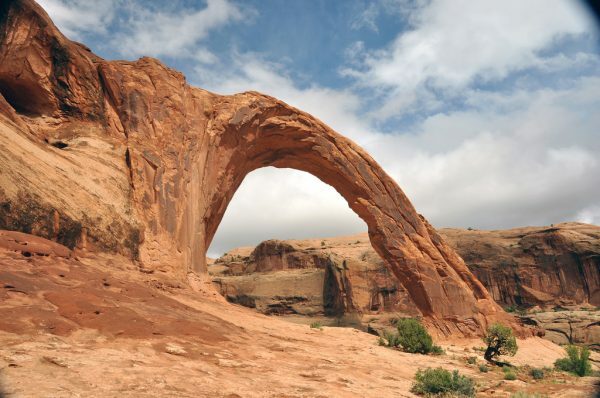 Crowds flock to Moab for its endless outdoor recreation. The former mining town has upheld much of that old world ruddiness with a new age spin. Nowadays, the hardened, fearless individuals who take to the city do not do so out of financial necessity, but rather out of a need to satisfy a never-ending craving for adrenaline. While laid-back recreation is available, the people of Moab take to its red-rock canyons and stunning geological formations not to stroll, but to climb up and barrel down its obstacles. Canyonlands and Arches National Park are sure to keep all enthusiasts of changes in elevation busy indefinitely. Human energy does, however, run low. Understanding this reality, Moab offers microbreweries and unique restaurants for after a long day outside. Set in sandstone canyons and along the Colorado River, their services can be enjoyed within the natural splendor of the area. 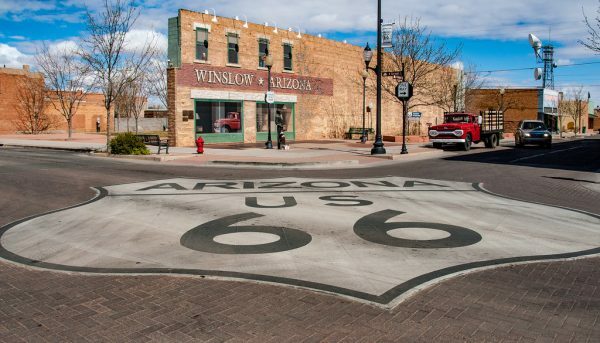 Most people are familiar with Winslow through the Eagles’ #1 hit “Take It Easy,” and its line, “Standing on the corner in Winslow, Arizona, such a fine sight to see.” When your biggest pop-cultural reference is as positive a statement as that, you would think Winslow’s tourism department could sit back and let the travelers come to them. The city, however, continues to offer visitors endless unique options for a trip well spent. Winslow’s rich history of civilizations is evident through its Hopi and Homolovi tradition, which can be experienced at Homolovi State Park, just thee miles northeast of downtown Winslow. The Mormon settlement of Brigham City is a ghost town that may have only lasted from 1876 to 1881, but at a half-mile outside of downtown Winslow, visitors can see the remains of a city that has been added to the National Register of Historic Places. Immortalized by artists like Georgia O’Keefe, Taos itself is a work of art whose adobe cityscape is brought to life by those who have inhabited its dwellings for a millennium. A UNESCO World Heritage site, Taos Pueblo has been consistently inhabited for over 1000 years. For a true New Mexico-style tour, full-day and multi-day llama treks accompanied by experienced naturalists give you first-hand experience in the unspoiled wilderness of the state. The Rio Grande Gorge Bridge is identified as the second highest bridge on the U.S. Highway system. It offers spectacular scenery and a high likelihood of bighorn sheep sightings. The Rio Grande Gorge also offers several rock climbing expeditions.